Why not make your holiday really special this year? Consider a fabulous get-a-way with the family or friends to a wonderful vacation paradise where you can kick-up your heels and celebrate in style. Want to add more luxury, amenities as well as value to your vacation? 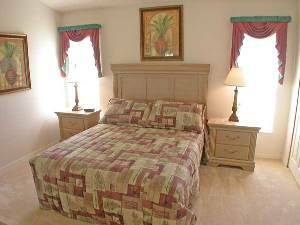 Then rent Orange Tree vacation rental home, instead of booking a hotel. 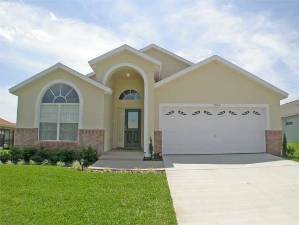 Highly rated Orlando vacation rental home, fully air-conditioned; spacious and modern; built to a high specification, uniquely furnished and well equipped throughout to a luxury 5 star standard by one of Orlando’s leading designers. This model home was voted the best Central Floridian Home by a national UK daily Newspaper and is surrounded by sweet smelling Orange groves on the select and up-market Orange Tree Community in Clermont, Orlando. 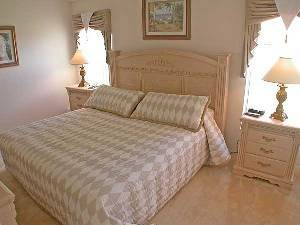 Just a short drive away from Disney, Golf and Fishing, this has to be the place to stay in Florida. 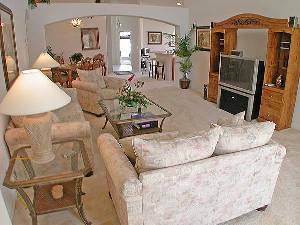 Our Florida home can effortlessly accommodate two families or one large extended family reunion, with the villa boasting 2 luxurious master suites both with direct access to the south facing pool and deck areas. •Bedrooms are equipped with TV or TV/Video combo. •Private bubbling spa with spillover into the pool is the perfect tranquil environment to relax from the fast lane of the Theme Parks. •Covered 16 feet by 12 feet Lanai ideal for resting in the shade, with a choice of two bathrooms for your convenience. •Sun deck the perfect place to stretch out and soak up the Florida sunshine with cool refreshments by your side. •Luxury padded patio and pool furniture will add a touch of elegance to the outside areas. Florida enjoys year-round sunshine; however the pool will not be heated unless requested at the time of booking. We strongly recommend pool heating during the months of October to April. What more could a person ask for from a vacation home in Orlando. •For the comfort and pleasure of all our guests the villa is NON-SMOKING. •FREE unlimited worldwide telephone calls making communication with family members and business to continue with ease. •Quality towels and bed linen are supplied. We sure enjoyed your lovely home, all 13 of us. The pool and spa were a welcome sight after a long day at Disney World. Mickey and friends were only a short distant away. Thank you! (Gilson Family, S Easton, MA, USA. Our group, a total of twelve people, had a great time in Florida. Your villa was spacious and comfortable. Everyone commented on how well they slept after busy days of sightseeing and trips to theme parks. The pool and spa were just what the doctor ordered at the end of the day. We have already booked the villa for next year. (Bradley Family, Wabash, Indiana, USA. I just wanted to tell you both that your home is the BEST!!! We all felt at home & you have something for the entire family! My mom & my self love the kitchen (including all the wonderful gadgets)... My children loved the pool table & the pool the best! My husband & my father of course loved the big TV in the living room! We all had our favorite part of the house, but we enjoyed the entire house! We decided that because of your wonderful accommodation this was our best & most relaxed Disney vacation of all times!!! I just wanted to say thank you all so much for your hospitality & I will definitely send your rental website to everyone I know that is planning a trip to FL! We will definitely rent your villa when we start planning our next trip to Orlando! Thank you so much for all the time and expense you've put into making your villa... Even better than home! It truly shows as to home much thought you put into making sure everyone that visits is comfortable! You've done a great job! Kudos to you both! (Harrison Family, Foley, AL, USA). We had a wonderful time in your villa.It was beautiful and very comfortable with children.The high chairs and cots were great to have.The pool was wonderful and spa very relaxing.Thank you for opening your home to us. (Fitzergerald Family, Brick, NJ, USA. We have a fantastic time in Orlando, too much to see and not enough time to do it in. I think we must go for 3 weeks next time. The Villa was fantastic, thanks again for letting us hire your villa. Thanks again for a fantastic holiday, everyone really enjoyed themselves, albeit being very tiring. (Hague Family, Sheffield, UK). The villa was perfect for our vacation. Everything is high-quality: linens, furniture, appliances, etc (L Odello, Miami, USA). The whole family enjoyed staying in your lovely home. We appreciated all the nice decorative touches around the place. We found the hot tub temperature very enjoyable. Thanks again for everything. (Ewart Family, Devon, UK). This is our first year using VRBO to advertise our home in beautiful Wildwood Crest. Our house is great for the whole family. 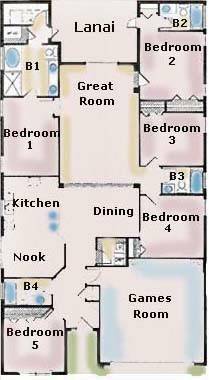 It includes a large backyard, 2 bedrooms and a den with futon. It can sleep up to 8 people. It has recently been refurnished. I think you will really like it here, we do. 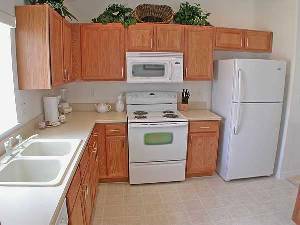 Orange Tree Vacation Homes is AAA (American Automobile Association) approved and Three Diamond Rated. This reflects that our home has been inspected, and meets all requirements and standards set forth by American’s Largest Travel Organization and have been approved. The prices are fully inclusive of 12% State Tax Optional pool heating is available upon request - $22 per day with a 3 day minimum (During Winter Months. Spa heat is FREE Reservations less than 6 nights require a cleaning fee of $85. 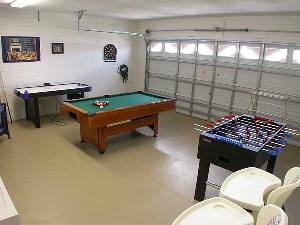 A non-refundable deposit of $170 per week or part thereof is required at the time a reservation is made. The deposit must be paid by major credit card, cash or personal check in advance of receiving confirmation. Payment of deposit infers the renter is in agreement with our "Terms and Conditions". A $170 refundable bond serves as a security deposit in case of any damages or missing items from the home. This is due along with the final balance 70 days prior to arrival. The security deposit is fully refundable within 21 business days after departure, pending an inspection from our management company. Damages made to the home by the guest will be the responsibility of the renter. All Rental payments must be received in full 70 days prior to arrival. If the payment is not received 70 days prior to the arrival date it will be considered a cancellation and the deposit will be forfeited. Reservation crossing over different seasons will be pro-rated by night. For your convenience we offer a variety of payment methods. Home is available on a first come first serve basis and must be confirmed with a deposit. Prices are subject to change without notice. We regret that pets are not permitted. Smoking is not allowed in our homes and must be confined to the patio and outside areas. Check-in time is 4:00 pm and Check-out time is 11:00 am. It is each guest’s responsibility to read and comply with instructions within the "Guest Information Book" located in the home. The Registration Form found in our home must be completed prior to check-out. The failure to do so will result in a $25 fee withheld from the security deposit. Deposit: $170 per week or part thereof to book the villa. Balance to be paid 10 weeks before departure. Other Fees: Cleaning charge of $85 for stays of less than 6 nights. $170 Refundable security deposit required. This will be returned 21 days after completion of rental provided no damage has occurred.